Canada's Porter Airlines says it "may consider" a basic economy type of fare. Canada's Porter Airlines is open to the idea of a basic economy fare, a spokesman said today. 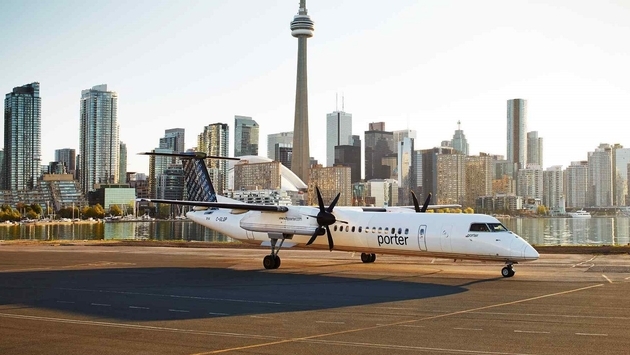 In an email with TravelPulse Canada, Porter spokesman Brad Cicero said the Toronto-based airline is closely watching what’s happening in the Canadian airline industry. Both Air Canada and WestJet have launched some kind of “’basic economy” ticket class in the past couple weeks, and that obviously hasn’t gone unnoticed by Porter President & CEO Robert Deluce. “We have been looking at 'basic' fare types, and are aware of what some North American airlines are doing,” Cicero said in his note. “We may consider adding a fourth category, but haven’t made any determinations at this point,." Cicero added that the issue is not a "top priority" at this point. Porter currently has three fare classes – Firm, Flexible, Freedom. But with Air Canada recently launching basic economy to reach Canadians who want to fly on a budget, and with WestJet introducing its “Econo (Lowest)” class last week, Porter might not have a choice. Porter also has to consider the looming introduction of WestJet Swoop, which is due to start flying this summer with “ultra-low-cost” fares in the manner of Europe airlines such as Ryanair and will fly out of airports such as Hamilton and Abbotsford B.C. because of lower costs and taxes. There’s also Flair Airlines already operating in Canada in the ULCC market, and potentially Canada Jetlines. Porter has made a name for itself with old-style service on its planes, which fly to various destinations in Canada and the U.S. They offer free drinks on planes, served by smartly-dressed flight attendants with a 1960’s glam look, and have a stylish lounge at Billy Bishop Airport in Toronto. It’s not clear how a potential basic economy fare, if introduced, would fit the Porter model.